I don’t do Easter Trees, it’s Eggs all the way here. This year we have seen some awesome eggs in the shops and I wanted to share a few of the best. Hopefully it will help you choose your treats this Easter too! Of course, chocolate isn’t for everyone so I have also included some non choccy gift ideas too. Angus The Bull is one of the fabulous character eggs developed by M&S for children but I know lots of adults who would be happy to receive one! At £5 they are great value too! We love to do an Easter egg hunt with the children, Their enthusiasm for the idea of finding quantities of chocolate doesn’t seem to be wearing off as they grow older either. Funny that. This egg hunt from M&S includes a large golden egg to find! Prosecco + Chocolate = Proseggo! With blackcurrant and raspberry flavours this sounds ideal. I saw this dark chocolate feather egg on a recent trip to check out what was on offer this Easter at Queensgate shopping centre. As soon as I saw it I fell in love! As well as the beautifully decorated peacock feather egg you also get some dark chocolate salted caramel mini eggs too. Yum! Thorntons have been personalising Easter eggs since 1922. They remain one of few (in most cases the only) retailer to offer this service. It isn’t something they charge extra for either. When I was young I used to receive an egg just like the one above every year. It was just as exciting to get one this year at age 37! I love caramel. This Dairy Milk Caramel egg is huge and looks very tasty! This year I am trying to limit my chocolate so Bess will get the big egg and I will opt for this Mini Egg offering. Rather than 1 big egg it contains smaller packets of Mini eggs – perfect portion control. MrG favours the Creme egg, he would eat them all year round if he could! Moose is so excited for his Easter egg hunt on Easter Sunday. We will need to think up lots of clues for him but I know he will love finding not only chocolate eggs but bags of Mini eggs and bunnies too! With Easter egg choices suitable for vegans, Divine have you covered this Easter. Every Divine Chocolate Easter egg carries the official FairTrade label of certification because of Divine’s support of fair-trade employers who provide good, fair wages and a sustainable livelihood for their workers. I really like these Fuzzikins Bedtime Bunnies from Interplay for a fun, cute, non-edible Easter treat. This is a lovely little craft set and allows your child to use their imagination and create something really unique. Colour the bunnies and make their beds (very easily, I was pleased with how much Moose could do all by himself!) Best of all you can then rinse the bunnies off and start again! Not your traditional Easter treat but I love the honeycomb dips from Mighty fine! I am afraid that the bag of dark chocolate honeycomb dips fell into my mouth before this photo could be taken. I can confirm that they are really, very good! Available in bar or bite sized chunk and I cannot wait to try the salted caramel! I always forget about department stores at Easter but John Lewis has an amazing range of treats this year! Decorative papier mache eggs containing gorgeous truffles and this Chicken character egg are my favourites. Moose loves a blind bag. Like, really loves them. Sometimes he gets a bit of money for Easter and I know that he will probably choose to spend some on a blind bag toy like Moj Moj. It’s great that they are pocket money prices! I think that planning my meals is definitely helping. I got lots of work done last week and even lost 2lbs! It’s going to take a while but I am chiseling away at it and that’s the main thing. Even if I lose 1lb a week, that’s still 42lbs down by Christmas and will mean a massive change to my energy levels and general wellness. That’s what I am trying for. To feel better. This week I have nothing big coming to throw me off track. It should be pretty easy to stay on plan I hope. My eyes are sore (need to go back to the opticians) so I have ordered lots of frozen ready to go veg for less time in the kitchen chopping. This should be a great help and will definitely stop me ordering takeaway. Planning is key! Wednesday: Chow mein with Slimming World friendly spring rolls* and chilli sauce. Thursday: Pasta bake with salad. Lunches will be either leftovers because I hate waste or something saladish. Seriously need to seek out some different salads to include in my planning though, otherwise I will get bored. *made with lasagne sheets but so easy. Blanche the sheets one at a time, pop the filling in, roll up and spray with oil. Bake for about 20 mins. I am so annoyed with myself. My intention was to plan every week because I know it will reap it’s rewards both in lbs lost on the scale at Slimming World and £’s kept in my purse. If I had a purse. Which I do not. I am too disorganised. Friday: Low syn Tuna salad followed by a gorgeous low syn lemon Jello dessert. Saturday: Ham and egg salad with a large bowl of melon. Monday: Piri chicken breast with a dressed salad and a baked sweet potato. Tuesday: Spaghetti bolognese and garlic dough balls. The Asda ones are 1 syn each. Wednesday: Butternut squash stew with bulgar wheat (pictured) as part of my commitment to cutting down on the amount of meat we consume. Thursday: Diet coke chicken with noodles and stir fried veg. Breakfast will be a mix of porridge, fruit or bacon medallions and veg (courgettes, mushrooms, tomatoes). Lunches will be mainly salads and I will also make a big pot of syn free soup to have alongside and for snacking. I am determined to have a better week foodwise. I have to really! On the upside, I am feeling positive about taking control of things again. I have started to understand that I need to make this a priority for not only my physical health but my mental health too. Does that sound odd? 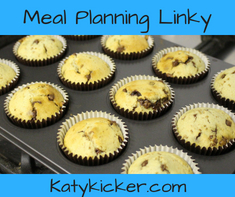 Why do I find meal planning so hard? You would think after 17 and a half years of being a parent I would have got past sifting through the fridge at 5pm in a panic and not knowing what to to cook for the people who reside with me. In a bid to inject some organisation into our week and hopefully leave time for more of the “other stuff” I am trying. Really trying, to get on top of this part. If I can nail this stupidly small and seemingly easy part of our family week then, I don’t know, maybe everything else will somehow fall into place. Moody teenagers will suddenly transform into pleasant and cooperative young adults. The Husband will shake off the fatigue of his day/week/month/year and become attentive to something other than Clash of sodding Clans and the 4 year old. Maybe he will stop declaring he hates a food that just 2 days earlier was all he would let pass his lips. I will of course be able to spend those extra few moments of my day doing something fabulous. You can place your bets on how that will turn out. We do definitely save money when we plan though. So there is that. Saturday – Burgers with chips and slaw. I might make my chips with celeriac. I don’t know if that will taste a bit parsnippy though? Sunday – roast chicken, mash, roast celeriac, carrots, sprouts. Monday – pie for them. tandoori skewer and Slimming World aloo gobi for me. Nicer than it sounds. Tuesday – rice, chicken, corn on cob, think Nandos without the price tag. Wednesday – Sausages and mash. Did you know you can make your mash creamier by adding an egg? I am going to try it. If I end up with a scrambly egg mash, I will let you know. Thursday – Spaghetti Bolognese. A smaller portion for me which I will bulk out with roasted red pepper and courgette. Breakfast is usually porridge with fruit. Lunches I don’t tend to plan. It will be whatever I can grab that is Slimming World friendly or maybe if those other things fall into place then who knows. Maybe I will make a soup. We can but dream, right?